A new lawsuit alleges that a NY cafe owner discriminated heavily against...well, pretty much everyone, and in some pretty creatively screwed-up ways. I figured we'd go a couple weeks without anyone making César Ramirez look like a decent human being by comparison. I was so very wrong. According to Douglas' Manhattan Supreme Court suit, Berkowitz asked who "the new dark girl was," then closed the door and confided in him, "My father warned me about hiring people like that, people with big butts. Do you understand what I mean? People with big butts don't work fast." Douglas, 26, of Brooklyn, says in his suit that he is part black and part Asian but looks only Asian. "You have some black in you and you're Spanish/Filipino. I'm sorry, that's really f—d up. If I married a non-Jewish woman, my parents would sit shivah," Berkowitz allegedly told him. A week later Berkowitz reiterated, "With all due respect to your background … large bottoms don't move fast, large bottoms don't work hard." He went on to ask Douglas, "Do you agree? I mean, aren't the Irish all drunks? Aren't Russians all thieves? I just love saying the most f—d up s—t." Douglas ultimately quit in August because the racist environment was so toxic. 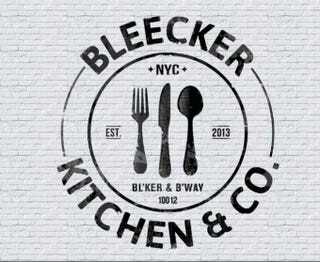 It's unclear if the server whose hiring instigated these comments is still working at Bleecker Kitchen. That Berkowitz allegedly holds some seriously screwed-up views isn't surprising, as the attitude in the restaurant industry of "look at me, I'm so edgy and cool by being racist" could be described as "pervasive" in the same way such a word could be used to describe the Earth as "oxygen-rich." It is, however, somewhat stunning how brazen he was about it. You can say "innocent until proven guilty" all you want (though that only really applies to criminal trials), but considering the sheer, staggering level of racism within the service industry (as well as the God Complex restaurant owners often exhibit), I'm inclined to take this lawsuit at face value. Image via Bleecker Kitchen & Co./Facebook.